You are here: Home / Interstate Removalist / How To Select Best Moving Company In Australia? Moving is not possible without assistance from a moving company as these companies provide transportation facilities, loading & unloading services, and best of all they give you the feeling that you are not alone. 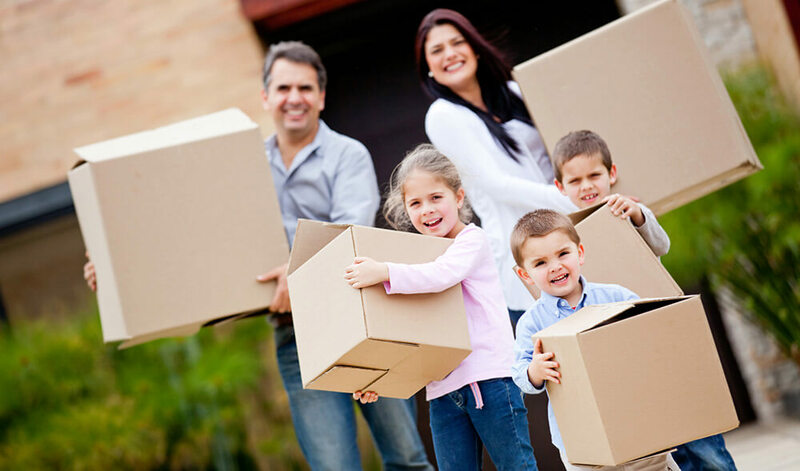 No matter whether you are moving to next street or to the other state you need the expertise of moving companies especially for the moving of heavy and sensitive stuff. People usually find it difficult to get any moving company they are either afraid of the charges or of any scam. So it is better to do a little research before finalizing any moving company. It is not a rocket science to find a good moving company but it is surely a challenging task to find the best one in the town. Here are some easy steps that will help you and guide you to get the best moving company. You can ask you friends, co-workers and local real estate agents in this regard. You can take a phone book and get contact of the companies near you. This will help you to make a rough estimate that how much it will cost. Never consider others’ estimate who don’t have any idea about moving companies. Also, don’t consider any website with option “find you a mover”. It’s better to find moving company yourself to avoid any scam that is linked with some websites. Do not use any brokerage services of household goods to find any moving company as they are not authorized legally. The main goal of these companies is to earn commission and they don’t care much about the quality of service. They will make too many promising and most of them will sound absurd. The best way to identify such commission eating companies is to ask them about moving company’s detail. The best way to get recommendation is from family and friends who recently shifted their goods. The next best option is the online reviews on the authentic forums and websites. If a company provide majority of these facilities at lower rates, then you should invite them and get more specific quote. Don’t forget to ask for discount because asking for discount will not cost anything but it can safe you few hundred bucks. If you are intending to move to another state, then you should ask any moving company to write an estimate and provide it in binding form. In this way, you will get a guarantee on what you will pay for your shifting. Although, non-binding estimates are legal. It is always suggested by authorities that you should expect the final cost to be higher than the estimated cost. Interstate movers will charge you for binding estimates while some of them offer them free. Estimates of interstate moves will definitely depend upon the weight of items to be moved and also on the distance. However, for moves within the states, the rates vary greatly. Some states demand for written and signed binding while others do not. In short estimates will depend on the amount of time that is needed for a move. There are some things you can do to reduce the cost of moving even without asking for discount. First of all, you should remove all decorative stuff from wall and place them in drawers. Try to squeeze your stuff together to make your place more spacious. It will make movers think that they have relatively less things to remove. It will also get them a message that you are seeking discounted price and they will have to quote minimum rate to get the deal. You should show the mover each and everything including the basement, the backyard, attic and the closets for a better estimate. If the foreman finds significantly more stuff tan it was calculated before then he can challenge the original estimate. He cannot ask you to pay more but he cannot move your goods with the original amount. The mover should be kept aware of any complicated conditions such as stairs, the distance between the curb and closest door before the move. As the estimator is at your home now you can easily get the information as much as you can. Try to know how long the company is running a business and how trustworthy it is. The estimated document is signed by you and moving company representative that serve as your order for service and bill of lading. The basic documents such as inventory list created for goods is considered to be provided by the mover. You have to check keenly the words written in the binding estimate, date and the representative signature. If you are moving interstate, then the estimate of the quantity of goods should be mentioned clearly. The distance to your place, when your items will be picked up and delivered with any other additional charges need to be mentioned. If you want any additional insurance from your mover, then you should understand the costs and details of that service. If you are moving within the state, then you don’t need any binding estimate still you need to get written estimate in which hourly rates and any additional rates should be mentioned. If you are still confused about the estimate you can call the company for further elaboration. 6. As you get estimates, collect them in a brightly coloured (that is, hard-to-lose) moving folder. As you get the estimates clip them in a folder of brighter colour so that you can locate easily as the movers arrive. This creates an impression on the movers that you have done homework which encourages them, to be honest with their duty and it will also help you to get a more competitive quote. They will provide you a quote and will ask you to close the deal. Never close the deal right after the inspection of movers. You should tell them you will inform them about your decision after few days. It will give you some time to rethink about all choices. Every moving tries its best to close its deal and they will try to better you up but don’t fall for any trick. Never share the offers of other companies before getting a quote and once you get a quote then you can share lower quotes with them. It is the standard way to get some discount. Clearly ask them about all services. If you want them to pack your goods and load and unload them then clearly state them. Don’t forget to take the visiting card of the company and write down their quote on the back of their card. It is always suggested to be cautious with the company that offers very low rates than others. You should look at high bids to check from where extra costs are coming. You can call the company and get additional information if you have any confusion. If you have many reasonable bids from reliable companies, you shouldn’t be afraid to negotiate in order to get the best rate. It will be very helpful in the market with lots of competition and in this way, many movers will work with you on pricing. Lots of people make a mistake that they compare the final price without comparing the services and their quality. If a company has more experience and better vehicles, then they have right to ask for more money and you should select the company with high-quality service because damage to even single article can cause serious mental stress and financial loss. The list of most important services is mentioned earlier but you can add some more factors in that list as per your requirements. Get back to online after gathering all the information. First of all, you have to make sure that the company incorporates in your state and then confirm since how long they have been in the business. This can be done by checking secretary of state’s office. They have the searchable database of business that is kept online if there isn’t available then you can call the number in the government pages of the phone book. It is relatively difficult step because you will have to give some serious time to check all selected companies in details therefore it is recommended to shortlist companies before this step. You can check three or maximum four companies in detail. It is not like that you will have to check every company in detail. You can reject any company on any bases. If you don’t like the attitude of their representative, then it is better to reject that company because you don’t want cocky people around you on your moving day. The most important thing you need to know is whether the moving company you are considering is working legally or not. There are many companies who are working with legal authority. You can check this information on a specific website and can easily get the relevant information of that company. There are some moving companies in Australia which have very bad experiences. Some of them involved in misplacing of clients’ goods while others are involved in traffic accidents. Government usually ban those companies unless they improve the quality of their services and compensate the suffering party. You should check about the history of the company and you can easily find major controversies of any company on internet. This step can help you remove disastrous companies from your list. You should go deep in the history of any company because it will waste your time and you will become suspicious. Try to keep your search and suspicious positive otherwise you will not be able to find any company. If you find anything illegal you can make a call on the toll-free number and ask for a complaint against that company. This number is open 24/7 for everyone. It is very important for the success of a company to have active customer support officer because customer hate to left alone especially after buying a product or service. During moving lots of things can go wrong even after lots of planning. Customer support can help customers to stay calm during emergency. If a company will not help customers, then customers will go FMCSA and it will deeply damage the reputation of company. If FMCSA tells you that they have lots of complaints about the company, then it will be better to stay away from that company. Even the most hardworking movers commit mistakes at the time of shifting. If you got any damage at the time of shifting, make sure to compensate it. You should record details about that damaged item by taking photographs and file an insurance claim within 90 days. You should have insurance of your sensitive stuff. In Australia you can easily get insurance for all kinds of things therefore it will not be a big issue. All you need to do is to visit few insurance websites and compare their plans. Some moving companies offer your insurance plan before moving. It is recommended to deal with such company which has an insurance plan for large variety of products. Good moving companies understand the concerns of their customers and try to give them insurance at optimum rate. There is a difference between product insurance and transport insurance. If you get only transport insurance, then company will cover your those loses which you incurred during transportation of goods. It is relatively inexpensive. The bottom line is you should deal with moving company with insurance facility. If company does not offer insurance, then it is better to stay away. The next step is to finalize your decision and make a call to your selected company. Confidently check all the details of any of the company. Confirm the dates of your move and also make sure that you have signed an order for service and bill of lading. At this point the final decision should be easy to make but if you are confused about two or more companies then you have to trade-off different factors. Here are some techniques to solve the issue. Thera are some factors which should not be compromise. First of them is the insurance plan and safety protocol. You should not go with a cheap company if they don’t have a safety plan. You should pay few bucks more to get extra safety. It will help you focus on other things instead of worrying about your goods. Don’t get caught by the reputation only. If a company is over charging, then don’t select it just on the basis of selection. Some companies just develop a reputation and then feed on customers without providing any unusual services and most people don’t realise it. Make last call for discount. If one of selected companies offers discount, then go with that one. If you are in Sydney and want to move all your stuff in other state, then don’t need to worry because you can call Interstate Removalists to make moving super easy for you. This company is highly-recommended because of its wide range of services at very reasonable rates. This company just don’t help you to load and unload while moving your stuff but it also assist you for the planning which is the most crucial part of moving. This company recommends its customers different technique to packs different types of stuff and even provide the packing kits to complement the deal. It does not matter what kind of things you want to move because Interstate Removalists has experience of moving all sorts of things including office equipment, massive furniture, plants, glass wear, machines, computers, and warehouse stuff. You can get free quote from the company by inviting them to your house. They will assess your house and will provide you with best quote. If you know which type of truck you want and then you can get instant quote from them. You can contact the company through email and phone number which are available on its official website. Selecting a good moving company can release more than 80% burden of moving from your shoulder but still there are somethings you should keep in mind. On moving day, get a written copy of the mover’s inventory list. You need to prepare an inventory list for the mover so he can easily get directions to move to your new home. You should keep the mover’s number so that you can easily reach to mover when you need. You should spend much time in overseeing things as movers will spend much of their time in packing and lifting. There will be a number of questions to arise like how to handle fragile items and how to pack an expensive item. To answer all these questions, you need to be there at the sight of packing instead leaving the entire task on movers. Mover will provide you a bill of lading which is the receipt of your goods and a transportation contract. You need to read it very carefully. The information should be free of errors representing your estimate. You need to keep that bill of lading in a safer place until all your items are shifted to their place. You should keep a copy of mover’s contact information and provide him a number of yours where he can reach anytime he needs. Before leaving your place have a look at the entire apartment in order to check whether you have left something or not. If you have any problem during unloading the mover can fix it on the spot for example if any item is placed in another truck or an item was broken into pieces while fitting it in a box. Check all the items and match them with the inventory list whether all the items are shifted or not. You should make notes if you find any item damaged and the give a detailed view to all the items when they are unpacked. There will be mentioned in the receipt list that mover will fix the broken item in the time period of 90 days. All these tips are simple yet very effective. You can easily follow them without any trouble. The only you have to worry about is your family because all other things can be managed by other people buy only you can help your family to go through this mind munching experience. So, stay calm, hire best moving company in your town and move your stuff like a piece of cake.